Bio Sculpture has announced a partnership with Canadian Blood Services, a non-for-profit national charitable organization who focuses on life essentials for transplantation and transfusion. 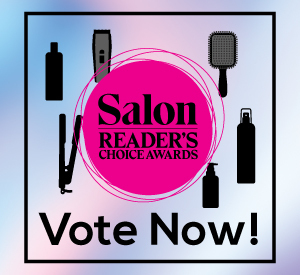 During January 14th and February 14th, 2019, visit a Bio Sculpture salon for a manicure or pedicure using a #RedForLife Bio Sculpture colour and post to Instagram using the tag @EVOGELCANADA and the hashtag #RedForLife to be entered in a draw for a Bio Sculpture Valentine’s Day Gift valued at $100.00. 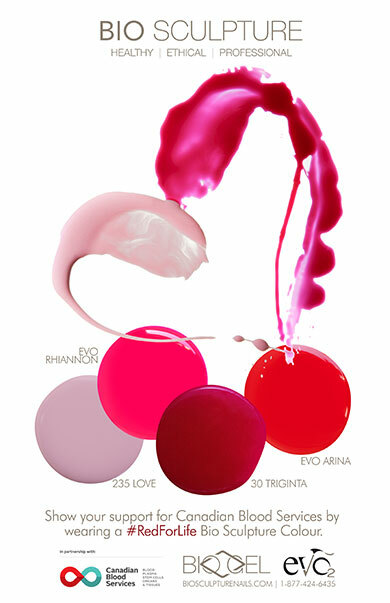 The four #RedForLife Bio Sculpture colours include Evo Rhiannon, Evo Arina, 30 Triginta and 235 Love. A portion of the sales of each colour will be donated to Canadian Blood Services.